Why hello there! Sorry I've been a bit absent this week. I haven't been sick (thankfully! ), KISS Freelance has been keeping me busy! 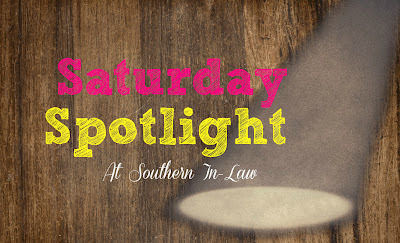 I'm beginning to realise that being a freelance writer is what I will do for the rest of my life - and the fact that I also do social media management and consulting is an added bonus! This week I left Sydney for a little while, taking a day trip down to Melbourne to work. It was a whirlwind trip, but airplanes are always fun. 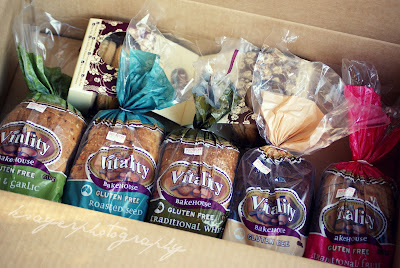 Another highlight of my week was receiving this package from Vitality Bakehouse. It was like all my gluten free Christmases had come at once! 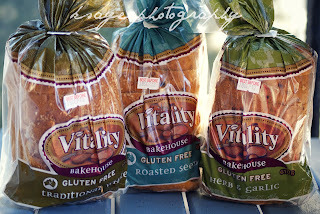 Vitality actually make some of my favourite gluten free breads! They're soft and taste incredible - you don't even need to toast them! 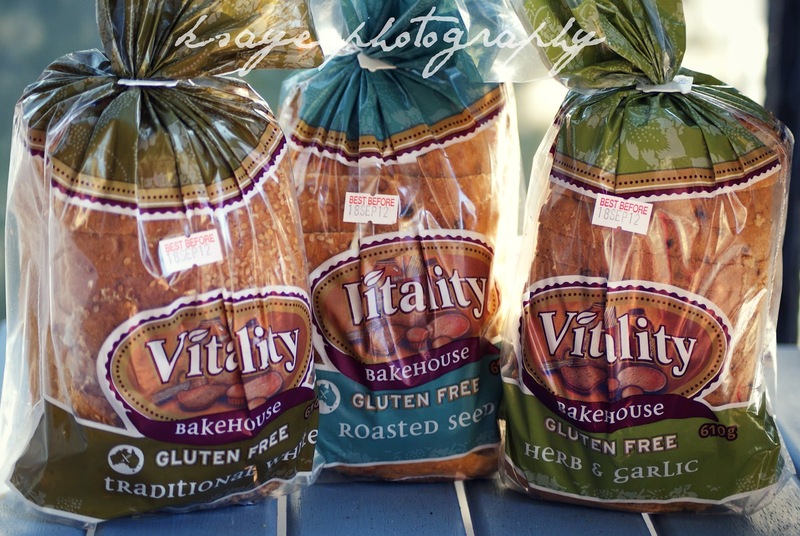 On the left are Traditional White, Roasted Seed and Herb and Garlic - three of four of Vitality's Savoury Bread options. The Traditional White is exactly that. Gluten free white bread topped with a sprinkling of sesame seeds. Obviously it has a different texture to gluten breads, but its soft and moist and is perfect eaten fresh or toasted. It doesn't even need to be stored in the fridge! The Roasted Seed contains a blend of seeds and lentils, giving it a nutty flavour and a little bit of crunch. 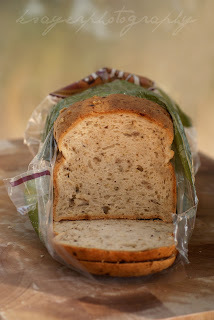 Yep, I can't eat lentils - but thankfully they're easy to pick out - and worth it because this bread is delicious! 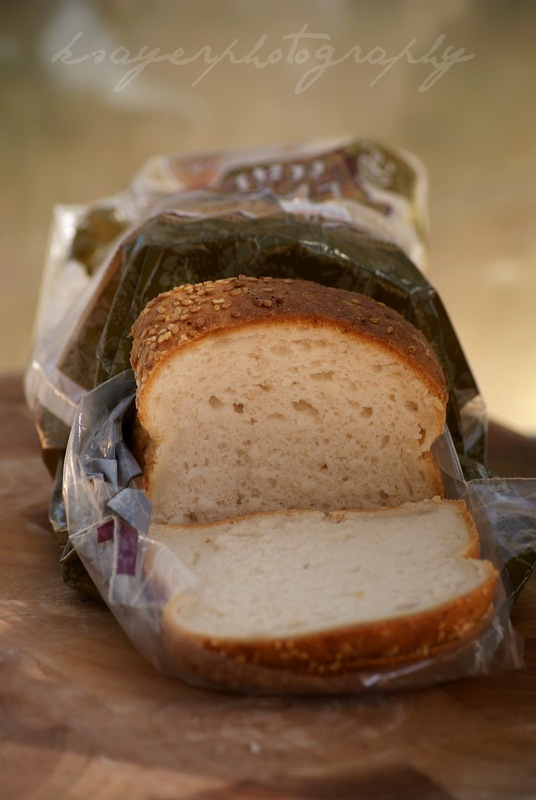 The Garlic and Herb bread is full of flavour and perfect eaten on irs own fresh or toasted or used in a sandwich for a flavour sensation! But the deliciousness doesn't stop there, Vitality Bakehouse also make sweet breads! The Traditional Fruit Loaf is my gluten free love and my favourite vessel for peanut butter sandwiches. 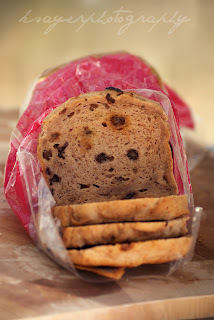 It's full of juicy raisins with a hint of spice and is moist and delicious. 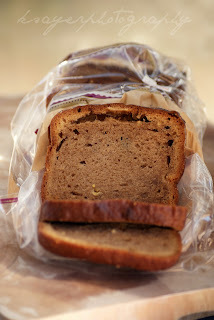 It can be toasted as raisin toast - but I love eating it fresh. 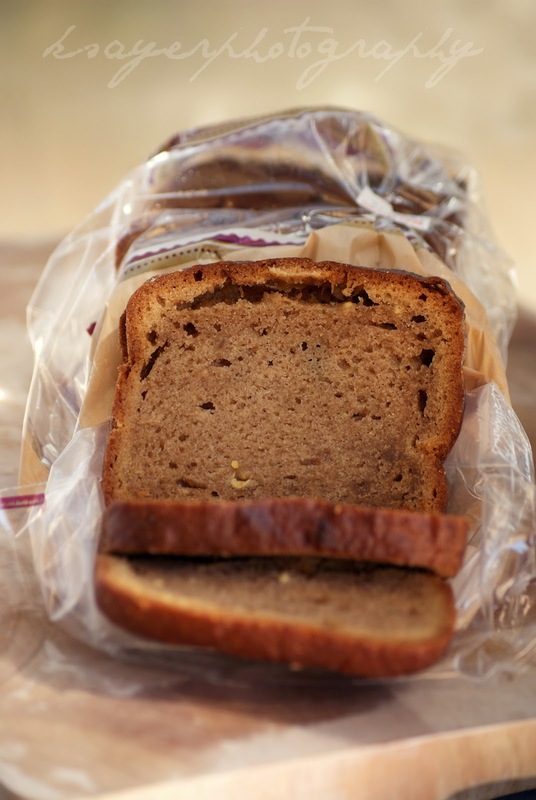 The Banana Bread is a new addition to the Vitality range and oh boy is it good! 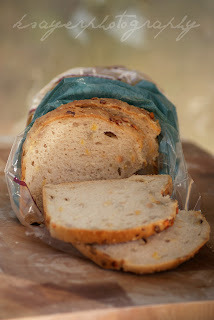 It's moist, buttery and full of banana flavour - even my gluten eating family loved it. My mum actually bought me a loaf for my birthday because that's how good it is! But not only do Vitality Bakehouse have your breakfast and lunch sorted, they've got you covered for tea time too! 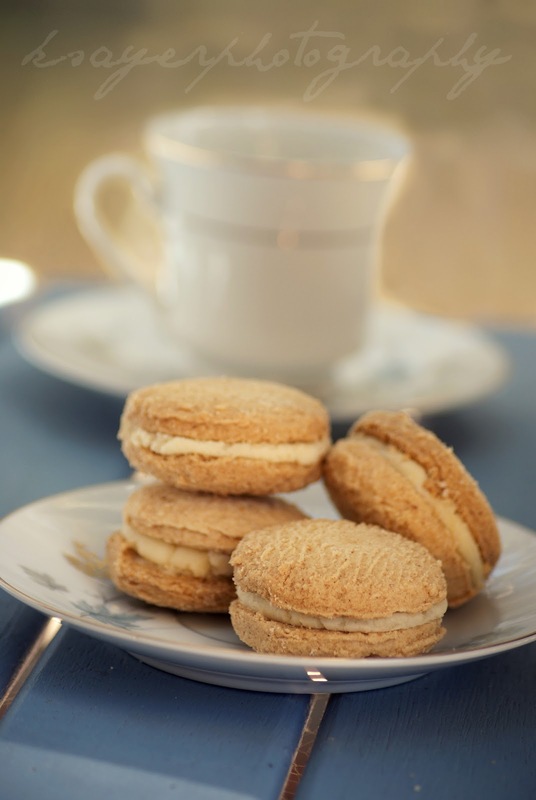 They have a range of cakes and muffins and their biscuit range is perfect for sharing with friends over a cup of tea! 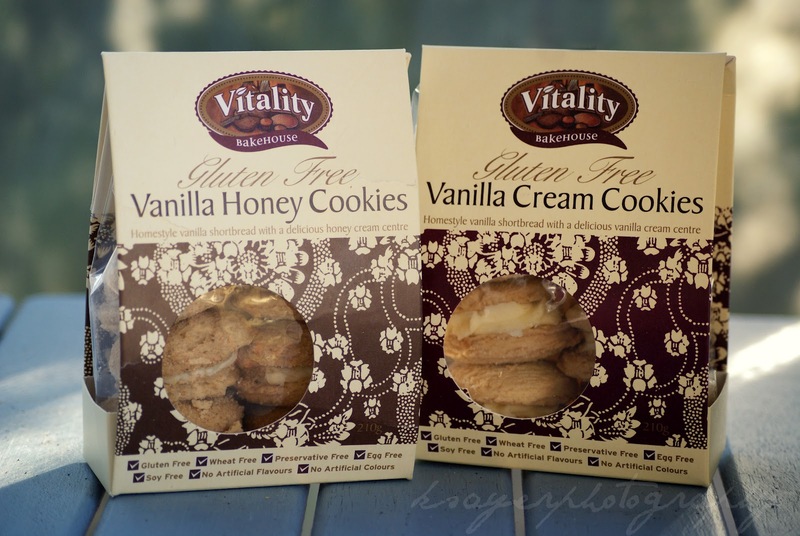 The Vanilla Honey and Vanilla Cream cookies are divine and melt in your mouth! I shared them with gluten eating friends and they loved them - and even commented that you could pull them off as homemade! Vitality Bakehouse products are available across the country - and the easiest way to find out where you can buy some near you is to "like" them on Facebook and ask where your closest stockist is! My list of must try Vitality products? The Traditional Fruit and Banana Breads, followed by the Traditional White! So tell me - what's your favourite sandwich combination?! i love it when a GF company makes me feel normal again, like this bread. Oh my heavens yes! I shall have to check them out, I admit I have never tried them. The cookies look yummy too.